Two TV shows, alike in network but not in story. Two returns to the air a short time away. Therefore, as we often do, we’ve got previews for the return of Grimm, one of our favorite shows, and Revolution, a show that’s starting to grow on us. In the previews you can see a bit of a recap of the past season so far and, of course, some hints about what to expect for the rest of the season. Naturally, NBC doesn’t reveal too much, because that would spoil the fun. Anyway, enough from us, let’s get to the previews. They can be found, as these things usually can, after the break. Look for Revolution to return Monday, March 25th at 10/9C and Grimm to come back on Friday, March 8th at 9/8C. Even though it got off to a somewhat rocky start and maybe some of the acting wasn’t exactly the best, NBC’s Grimm has managed to transformed itself over the course of the season into one very enjoyable show. Apparently, we’re not the only ones who think so as NBC has just given the show a second season. When it debuted, the show was stuck in what is often a pretty crappy timeslot, Friday nights at 9PM, but even with that and being pre-emoted on several occasions, the show’s ratings actually held steady and then increased. That, and the active fanbase for the show, was enough for NBC to give it the green light on season two. In case you haven’t watched Grimm, it was created by David Greenwalt, Jim Kouf and Stephen Carpenter. It stars David Giuntoli as a homicide detective who is also a Grimm, as in the fairy tales, who works murders by day and also hunts supernatural monsters and such by night. 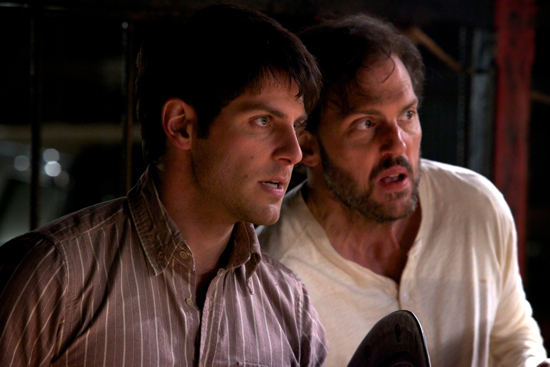 In addition to Giuntoli, Grimm stars Russell Hornsby, Bitsie Tulloch, Sasha Roiz and the awesome Silas Weir Mitchell. It airs Friday nights at 9/8C on NBC. Check it out. You might enjoy it. We’ve been taking a look several of NBC’s upcoming shows over the last few months. Once of those is called Grimm, which will be having its world-premiere on Saturday at San Diego Comic-Con. We’ve got a new video for you right here to give a better introduction to the show featuring creators David Greenwalt and Jim Kouf. They give us some pretty good insight into their fairy tale-themed police procedural debuting in October on NBC. 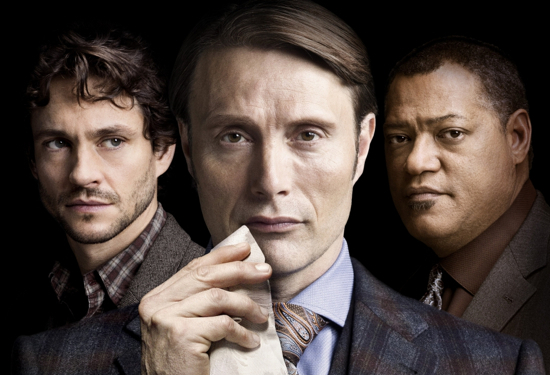 Set in present-day Portland, Oregon, the series puts a new twist on the stories of the Brothers Grimm in which a homicide detective learns that he is a descendant of a group of hunters known as “Grimms,” who fight to keep the balance of humanity safe from the supernatural creatures of the world. Upon learning of his destiny and that he is the last of his kind, he has to protect every living soul from the sinister storybook characters that have infiltrated the real world. Check out the video after the jump. Grimm premieres on NBC Friday, October 21st at 9/8C.